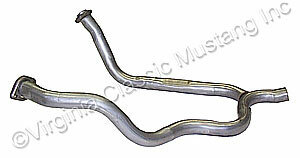 69-70 351W SINGLE EXHAUST Y-PIPE 2 1/4"
2 1/4" Aluminized y-pipe. Connects the manifolds to the intermediate pipe. Use with 351W engine. Use with our EH-624 exhaust system.